A robust wrist recorder which records and plays back seconds of sound. 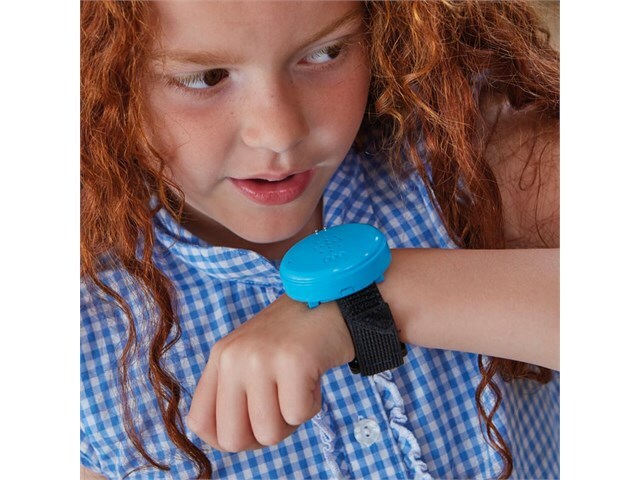 The fabric wristband fits neatly around a small wrist and the removeable recorder is durable and colourful. To use, ensure the switch is moved to the record position, simply press the two metal contacts and hear a beep, then record a message. Move the switch to the play position and press the two metal contacts to hear the message played. 3 x LR44 batteries included. Dimensions: 5cm x 1.5cm x 4cm.